"I consider that our present sufferings are not worth comparing with the glory that will be revealed in us" (Romans 8:18). The following narrative from L.B. Cowman illustrates a perspective reflective of what is currently witnessed in much of the American culture of parenting that places an ultimate priority on maximizing the comfort and ease of children. One would expect to observe this approach from a person with a worldview that is secular and naturalistic. Without the Truth of the gospel, it is understandable that one might place the child’s happiness at the center of a parent’s focused attention. A Biblical approach to educating children should be different and should run counter to the naturalistic, humanist view of a child-centered focus. As Christians, we must recognize that as parents and educators, we are given the privilege and responsibility to be adoptive parents to God’s image-bearers that are our responsibility for a brief second in the timeframe of eternity. Even our own genetically-connected personal children are His on loan to us to serve as guardians for a scarce brevity of time. God-centeredness in child-rearing has unfortunately been hijacked by the humanistic view of child-centeredness, and it is prevalent in churched families, and it is one of the more difficult struggles faced at our school. A make-my-child-happy approach is an action that denies the necessity of growing in character through experiences and the lessons that consequences and self-inflicted hardship can produce in the development of courage and integrity in their child. Surprisingly to some, it is no contradiction to claim a perspective of the Grace of the Scripture that clings steadfastly to a belief that the allowance of consequences might perhaps be the most appropriate avenue in the development of virtue, grit, and integrity and provide an excellent opportunity to Godly counsel. There is likely no better platform in the life a young person than dealing with their own self-inflicted consequences while the youngster is under the daily counsel and guidance of the Christian home. Opportunities for teachable moments are a wealth of life lessons provided the adults are not fearful of youthful emotion that sometimes includes heartache and possibly even tears. What is particularly interesting about Mrs. Cowman’s narrative included below is that its description of the struggles that are described are not due to misdeeds or a mistake that are an unnatural consequence, but instead they are a natural God-designed struggle. These struggles go beyond the scope of permission or omission and are actually an act of design of the created order that God, in His infinite wisdom, has prescribed for a natural and divine purpose. Could it be that the resistance that life pitches one’s way and the circumstance of the struggles are divine preparations for the emotional and spiritual courage that imputes strength into a soul for use in not only worldly trials but in purposeful and beautifying function in this life and in all of eternity? I once kept a bottle-shaped cocoon of an emperor moth for nearly one year. The cocoon was very strange in its construction. The neck of the “bottle” had a narrow opening through which the mature insect forces its way. Therefore the abandoned cocoon is as perfect as one still inhabited, with no tearing of the interwoven fibers having taken place. The great disparity between the size of the opening and the size of the imprisoned insect makes a person wonder how the moth ever exists at all. Of course, it is never accomplished without great labor and difficulty. It is believed the pressure to which the moth’s body is subjected when passing through such a narrow opening is nature’s way of forcing fluids into the wings, since they are less developed at the time of emerging from the cocoon than other insects. I happened to witness the first efforts of my imprisoned moth to escape from its long confinement. All morning I watched it patiently striving and struggling to be free. It never seemed able to get beyond a certain point, and at last my patience was exhausted. The confining fibers were probably drier and less elastic than if the cocoon had been left all winter in its native habitat, as nature meant it to be. In any case, I thought I was wiser and more compassionate than its Maker, so I resolved to give it a helping hand. With the point of my scissors, I snipped the confining threads to make the exit just a little easier. Immediately and with perfect ease, my moth crawled out, dragging a huge swollen body with little shriveled wings! I watched in vain to see the marvelous process of expansion in which these wings would silently and swiftly develop before my eyes. As I examined the delicately beautiful spots and markings of various colors that were all there in miniature, I longed to see them assume their ultimate size. I looked for my moth, one of the loveliest of its kind, to appear in all its perfect beauty. But I looked in vain. My misplaced tenderness had proved to be its ruin. The moth suffered an aborted life, crawling painfully through its brief existence instead of flying through the air on rainbow wings. I have thought of my moth often, especially when watching with tearful eyes those who were struggling with sorrow, suffering, and distress. My tendency would be to quickly alleviate the discipline and bring deliverance. O shortsighted person that I am! How do I know that one of these pains or groans should be relieved? The farsighted, perfect love that seeks the perfection of its object does not weakly shrink away from present, momentary suffering. Our Father’s love is too steadfast to be weak. Because He loves His children, He “disciplines us…that we may share in his holiness” (Heb. 12:10). With this glorious purpose in sight, He does not relieve our crying. Made perfect through suffering, as our Elder Brother was, we children of God are disciplined to make us obedient, and brought to glory through much tribulation. Cowman, L.B. (1997). Streams in the desert (updated edition). Grand Rapids, MI: Zondervan Publishing. Sometimes when someone is asked why they are considering PCS they will answer, “For the Christian atmosphere.” Although that is an honest response and certainly worthy of consideration, the easy thing might be to dismiss it as if they are not contributing to the advancement of the purposes of the school. But that is not necessarily the case. 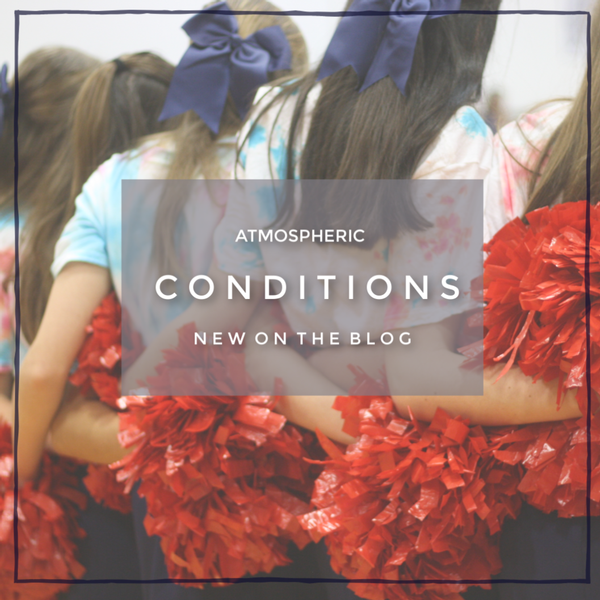 In fact, we all need to look at what is meant by “atmosphere” and understand its impact in setting the tone in the classroom and the school. Everyone recognizes the influences that exist in culture, many of which are not conducive to a spiritually uplifting environment. But what we might take for granted is the liturgical positives that come from creation, maintenance, and advancement of an atmosphere of spiritual truth. Smith (2016) suggests that we learn spiritual truth through absorption of an institution’s atmosphere, not simply by intellectual reasoning. The most lasting lessons of casting worth and value on others often go beyond the teaching of a lesson. We teach more by process and procedure, the questions we invite, how they are answered, and the conversation fostered among students. What is celebrated is what we value. An environmental atmosphere has a strong spiritual impact on a school not only to set the tone for an event but also on its audience, in the classroom, and at all school events. 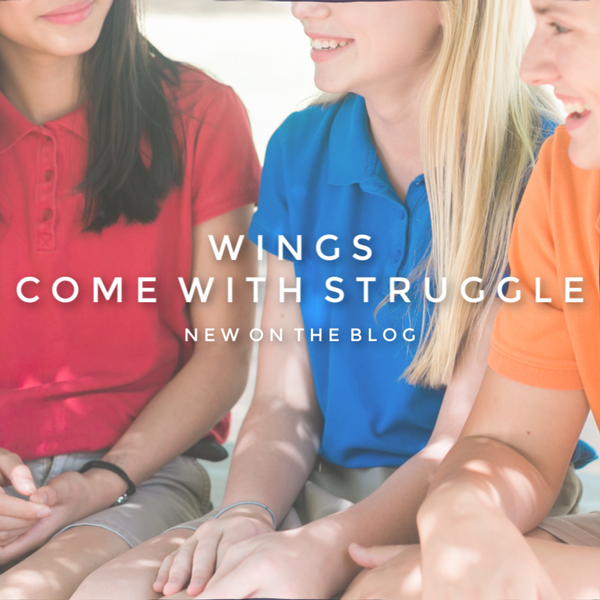 For instance, Christian school sporting events can be community building, biblically-affirming positives, or they can be distortions of misaligned loves that seeks to mimic a cultural norm of win-at-all-costs mentality. Smith (2016) states, “Children are ritual animals who absorb the gospel practices that speak to their imaginations” (loc. 2030). The collective atmosphere matters and should point us toward a biblical vision of shalom, which is the unification of peace and wholeness one finds in the Lord (Smith). Each person in the school has an influence on the atmosphere; we are either adding to it positively or subtracting from it. God’s Spirit alters the atmosphere of every aspect of the school when we are aligned with Biblical purposes. When our approach affords an eternal perspective and unity with God’s Word, the result should be an atmosphere that is aligned with the Fruits of the Spirit. Hence, the resulting school atmosphere reflects who we are and what we really believe. We must pray that our hearts are aligned with the Lord’s purposes in education, which are to find wisdom. “Christ, in whom are hidden all the treasures of wisdom and knowledge” (Col. 2:3b). 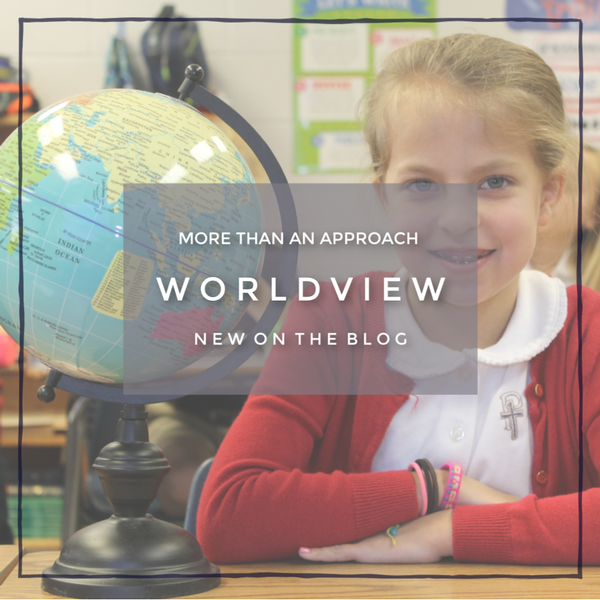 Every student has a worldview and they have life questions that will someday get answered. The Christian school must decide if it is going to proactively address these questions by inviting students into the discussion through the subject matter by way of Biblical Integration, or if they are going to separate faith and learning. Too often the Christian school misses the main point of its existence by operating in a system that MacCullough (2015) calls the Parallel Model, where faith and learning are taught independent of one another and treated almost as separate entities. Unless the Christian school takes advantage of supplying the unifying purpose of why we exist and why education allows us to understand and know the creator through His creation, the primary value of Christian Education will be lost. The Christian school must take advantage of the opportunity to infuse life’s biggest questions into the material that is being taught. Done correctly, Biblical integration actually takes place within the student’s mind, not simply by integrating Scripture into the text material. Christian schools must take student minds to the Word through the curriculum, not by interjecting the curriculum with prayer and verses that have little connection to the material being taught. Students will get answers to their questions as the internet and social media are bombarding them with information that is likely a naturalistic and pantheistic viewpoint. 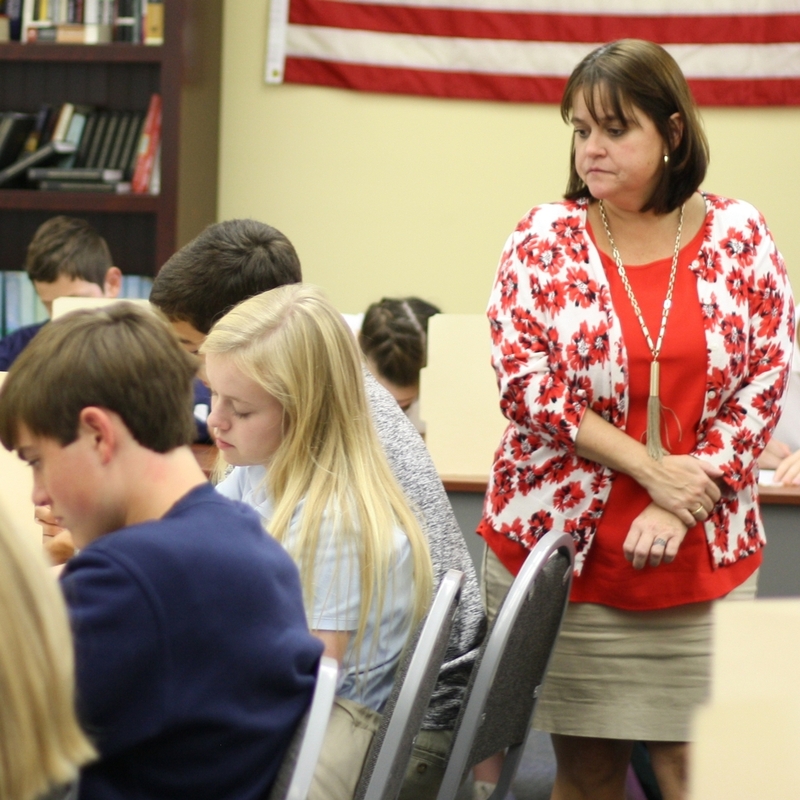 The Christian school has great opportunity to be a valued voice in the lives of how students answer life questions and must not miss the opportunity by failing to integrate the minds of its students with Scriptural truths. Teachers at PCS teach from a framework of Big Ideas. Teachers at PCS teach from a framework of Big Ideas. Big ideas are the core of a subject and need to be uncovered to provide understanding for the student. Students are image bearers of Christ that have thought, meaning, purpose, emotions, and an eternal soul. Every day in the classroom teachers teach on the dawn of eternity. The purpose of education is redemption. It is to live in understanding that we are in a fallen, broken world that has become distorted by sin. Redemption is not a matter of applying a spiritual or supernatural dimension to creaturely life that is lacking, rather it is to shed new light and life to what was there all along (Wolters, 2005, p. 71). Order is fundamental to Christian understanding as chaos does not randomly become beautiful order (J. Hughes, 2014, personal communication). Logic and reason are intertwined throughout Scripture, biology, physics, math, literature, philosophy, art, poetry, and human movement (dance and athletics). Truth is uncovered in creation. The “hidden wholeness” is uncovered through one’s study of creation (Palmer, 2007). All of God’s created truths point to the Truth of His existence and love for creation and the student. Teachers must be attuned to the alignment of the truths and help them encounter them. Palmer, P.J. (2007). The courage to teach: Exploring the inner landscape of teaching and life. San Francisco: Jossey-Bass.